China’s Foreign Ministry has labeled as “fake news and not worth refuting” a report that Beijing urged Washington to fire the top U.S. naval commander in the Pacific in return for boosted pressure on North Korea. 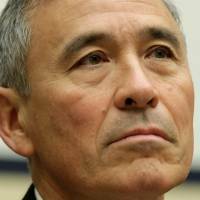 The report, published Saturday by Kyodo News, said the Chinese leadership had made the request through its ambassador to the United States to dismiss Pacific Command chief Adm. Harry Harris, who has been known for his hard-line stance on China-related issues, including the South China and East China sea disputes. Citing a source it described as “close to U.S.-China ties,” the report said Beijing’s envoy to the United States, Cui Tiankai, had conveyed the request to the U.S. side to coincide with the first face-to-face meeting between President Donald Trump and Chinese leader Xi Jinping in Florida last month. The Trump administration, the source added, was believed to have rejected the proposal. Contacted by The Japan Times, a spokesman for the Pacific Command was mum on the Kyodo report, but said Harris had long been a subject of interest for China. 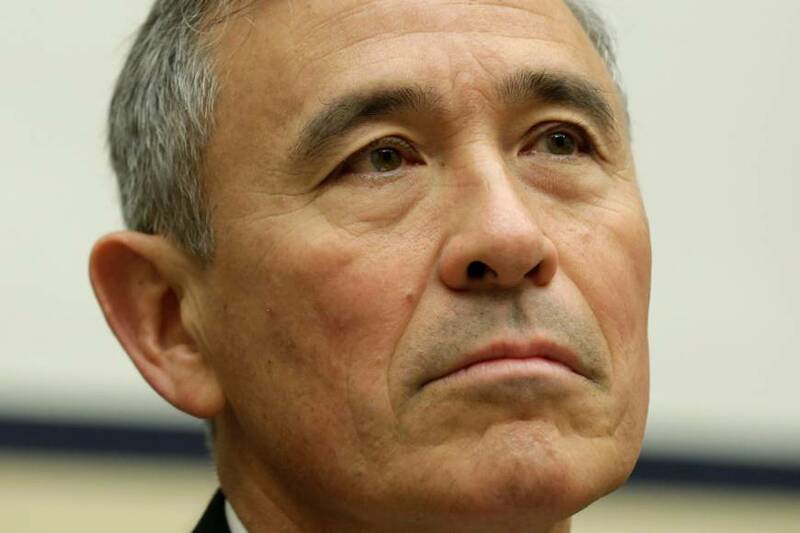 Much of this vitriol stems from his outspoken comments on China’s maritime behavior in recent years, including a March 2015 speech in which he denounced Beijing’s massive land-reclamation projects in the South China Sea, likening the effort to the building of a “great wall of sand.” Under the administration of President Barack Obama, Harris had also reportedly urged a more muscular response to China’s island-building, a view that had apparently been at odds with the White House. But while Beijing has railed against Harris’ tough approach to security issues, it has also used his background as a means of denigrating him. Harris is the son of a Japanese mother and an American father who was a U.S. Navy chief petty officer stationed in Yokosuka, Kanagawa Prefecture. His half-Japanese heritage has made him an attractive target for a Chinese leadership that routinely blasts Japan over an alleged lack of atonement for its brutal wartime past, often as a means of whipping up nationalist sentiment. China’s state-run media has routinely used his ethnicity to tarnish Harris’ image, including in a February 2016 commentary by the official Xinhua News Agency. According to Jessica Chen Weiss, author of “Powerful Patriots: Nationalist Protest in China’s Foreign Relations” and an associate professor at Cornell University in New York, Chinese domestic news media often factor in race, ethnicity, and even gender in analyzing American officials and politicians. Still, said Weiss, Beijing was well aware that derogatory comments such as the Xinhua report would do little to further their agenda with audiences abroad. 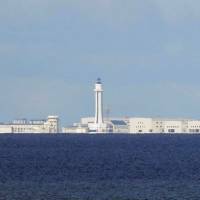 Amy King, a senior lecturer at Australian National University and expert on Chinese foreign relations, said Harris’ case was similar to Beijing’s criticism of Japanese judge Shunji Yanai, who sat on an arbitration tribunal that ruled last year that China had no “historical rights” based on its “nine-dash line” map to its claims in the South China Sea. “In both cases, Beijing has partly focused on the Japanese heritage/nationality of the individual,” King said. However, in both, “the more important factor for Beijing is the actual security issue at stake,” she said. Zhang Baohui, director of the Centre for Asian Pacific Studies at Lingnan University in Hong Kong, noted that while China’s dislike for Harris was abundantly clear, it was not necessarily because of his Japanese heritage. 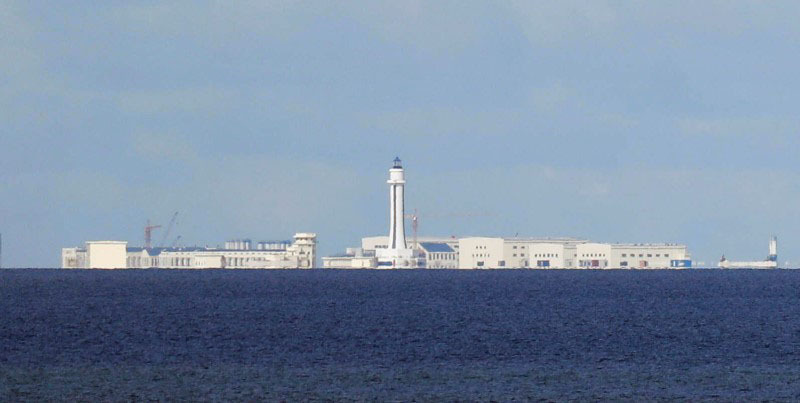 Zhang said this was seen most clearly in Harris’ request that the U.S. Navy be permitted to conduct so-called freedom of navigation operations near the flash point Scarborough Shoal — despite a deal by the two parties most directly involved, China and the Philippines, to shelve the dispute. “In the eyes of the Chinese, Harris is obsessed with an anti-China agenda,” Zhang said. Still, Zhang was dubious about the reported Chinese push for the admiral’s head. “China is not that stupid as to interfere with U.S. national security decision-making,” he said.